A good night's sleep is vital to starting your day off right. Too often we wake up tired or sore, typically due to sleeping on a bad mattress. At Better Homes Furniture, we know the importance of having the right mattress and that's why we offer Serta mattresses, the world's best mattress. 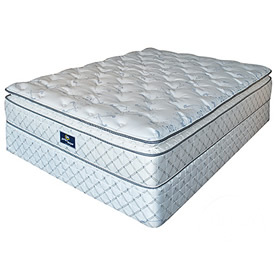 Serta offers a large selection of mattresses designed to address specific sleep issues. So whether you have pain or discomfort while sleeping, toss and turn or have a spouse who does, Better Homes Furniture and Serta can help you sleep better night after night. Our knowledgeable staff knows all the right questions to ask you in helping you through the process. In our mattress gallery they will encourage you to remove your shoes and lay down in your favorite sleeping position on the different mattresses. Because buying a mattress is an important purchase, one that you will live with for 7-10 years, you want to make sure that you take your time. We will never rush you and you will have all the time you need to make sure that your shoulders, lower back, and hips are truly comfortable. Better Homes Furniture also pledges never to apply any upcharges to your custom order. The price that you will pay for a custom order is the same price that you would pay for the exact item if it was on our showroom floor. Feel free to contact us if you have questions or visit our North Wilkesboro store and try out the mattresses. And remember, in addition to our free local delivery service throughout Wilkes county, we'll also remove your old mattress free of charge.